If you are planning to go for a European vacation, why not spend some time to go to Monaco. It has lots of things to offer to every traveler from its multi-million pound of yachts to the bottomless flow of champagne and more. It is worth to spend your next holiday in Monaco. By looking at the map of Monaco, one can see that Monaco is found in Western Europe that borders the Mediterranean Sea on the Southern coast of France close to the border with Italy. There is no airport in Monaco, as the nearest airport is Nice-Cote d’Azur or NCE. To get there, you may travel Europe through the following:Monaco’s total population is 36,371. The ethnic groups in Monaco are the Italian, Monegasque and French. French makes the majority of its people. Their dialect includes English, Italian and French and the majority of their life and culture has been influenced by the French and Italian’s way of living. Travel by road: Places like Cannes and Nice are 50km and 18km west of the country while the French or Italian border and Menton are 12km and 9km east of the country. 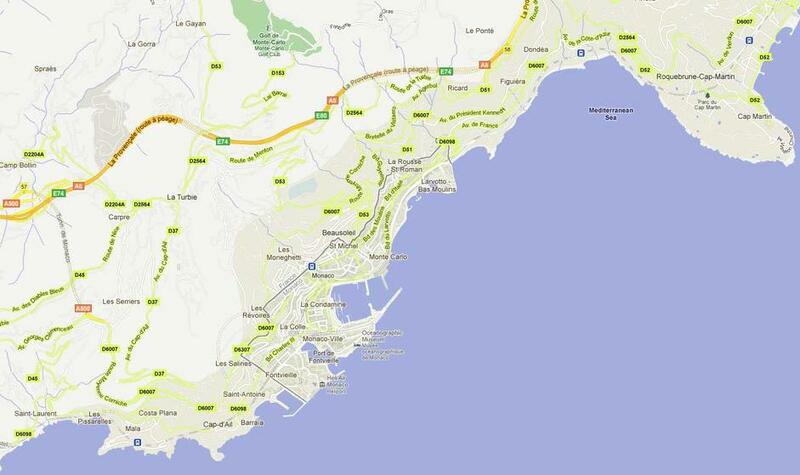 There are 3 attractive roads though in between Monaco and Nice: Highway 98, Highway 7, and the Grand Corniche. Taxi can be available with a surcharge after 2200 and a usual tip of 15%. Travel by rail: The train service includes daily and overnight trips running through the principality of all the neighboring towns. Travel by water: Main harbors are at Condamine or Hercule portand Fontvieille. They are equipped in handling yachts of every tonnage. Monaco is a perfect place to explore. Located at the Southern part of the Mediterranean Sea coast, the country offers a pleasing scenic wonders. Their tourist destination brims with natural beauty and historic spots. The Monte Carlo – This region is known for its cosmopolitan culture and is one of the preferred places to go in Monaco having its colorful lifestyle which includes casinos, glamour, and residence of popular people. The Fontvieille has recently become one of the key destinations in Monaco where wonderful mix of historical findings and scenic beauty are found. Throughout the year, Monaco maintains a mild climate with its hottest months in July and August with the coolest in January and February. Rainfall happens during the cooler months with an average of only 60 days of rain every year. Lightweight clothes may be worn with a wrap to warm you during cooler summer nights. Light to medium weights have to be worn during winter. The beauty and historical places in Monaco is waiting for you. Travel Monaco and experience the culture of its people and a place rich in historical value. Do not forget to check out the best deals of cheap flights for this one-of-a-kind destination.